As we know the annual Halloween this year is on 1st,November. So there is only about one month to go.Beside making the Pumpkin lights, Bobbing for apples, wearing Halloween Costume for party, Halloween Parades etc, have you ever consider playing some Halloween games on your android phone if you don’t wanna go out? Bubble Blast Halloween is a puzzle game in which you burst Halloween characters to trigger a chain reaction in order to eliminate them. Don’t think it’s easy, it needs your quicker reaction the higher level you go.You can challenge yourself with its 2 game modes are available- Puzzle mode with 4000 levels ! (Exclusives for this Halloween Edition) and Arcade mode to play freely. All throughout the game, you will be given the choise to either play the game in classic mode or extreme mode. The extreme mode includes bonuses and maluses which can make it even more challenging. You will fall in love with Connect'Em Halloween if you like Bubble Blast or Mouse Trap. I am sure that you will never be able to stop once you can start. Connect'Em Halloween is a puzzle game aims to make strategically connect blobs together. Each blob only has a set number of connections available. So you will have to make sure they are all connected to each other the right way. Please keep mind that the game is very addictive :). As compared with other puzzle game, this games allow you to play either with challenge mode with 2000 levels or 3 game modes. Halloween Blocks! is a Halloween themed time-killing game that you can easily play for a minute. But you will take minutes to hours to play this game, you know this little Halloween themed game can be addictive! It's similar to bubble popper games but with a twist.A falling cascade of Jack-O-Lanterns, Cats, Skulls, Candy Corn, Frankenstein and Witches is trying to take over the Haunted House! So you have to tap on at least two identical items to score points to save the house. The larger the group, the more points are scored. If the Halloween blocks reach the top and take over the Haunted House, you have to start again! In COIN DOZER: HALLOWEEN, you’ll brave the haunted house to drop coins into the graveyard for prizes and treats! But watch out for ghouls and ghosts! Try not to push the coins into the glowing side pits where monsters could be lurking. Collect jack-o-lanterns, candy, the witch’s cauldron and more for special bonuses or even more coins! Gain levels for special effects while you become even more powerful! 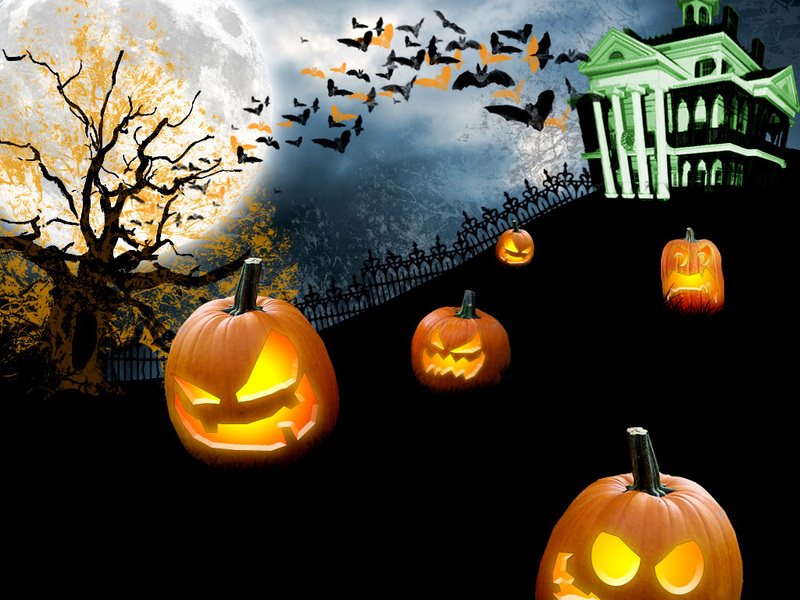 It’s ok if your coins run out, more will be filling up your trick or treat bag very soon. Keep coming back to complete your collection of prizes! These can be good to kill the Halloween day. Of course nobody are willing to stay home at such a big festival. May be you can check one of the games on bed when you are back from your Halloween party or any other Halloween activities.